A hotel born from the silver mining boom. Virtually no one lived in Creede in the late 1880s, but by 1892, the silver mining boom brought the population close to 10,000. Creede was a rowdy mining camp town. As the song goes, "It's day all day in the daytime, and there is no night in Creede." 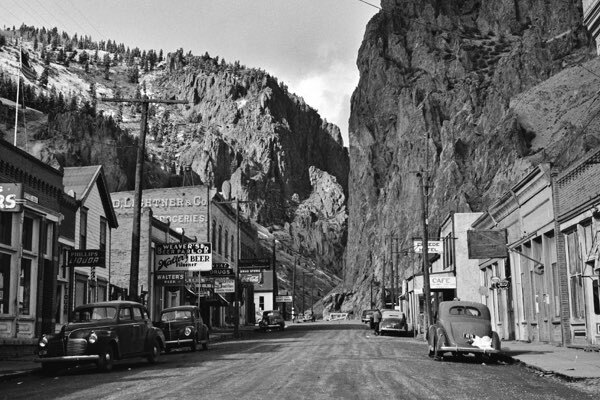 There were nearly a hundred "hotels" at the time, and the Creede Hotel, which was then Zang's Hotel (after its owner), was considered one of the town's finest. No building in Creede was ever grand or elaborate, and the Hotel was no exception—the town grew so fast that buildings were thrown up as quickly as possible, the Hotel included. Comparatively though, Zang's Hotel was the fanciest place to stay. The five rooms upstairs, and at least that many more downstairs, housed miners and businessmen. Famous boarders included town boss and con-artist Soapy Smith, Poker Alice Tubbs and Calamity Jane (see their pictures upstairs if you're inclined to glamorize any of them...), Bob Ford (the baby-faced killer of Jessie James). Some suspect that a few of the old boarders may still be around. On numerous occasions, guests have heard or seen strange things in the night. We even have a few ghost stories of our own.